Gilmore Community School and Gilpin Elementary are partnering for Autism Awareness Month. Students are learning about autism, how each of us is unique, and that everyone should be a valued piece of the big picture. They have also raised thousands of dollars for the Canucks Autism Network (CAN). Learning activities throughout the month include autism facts shared every day as part of morning announcements, sensory activities, and worksheets. 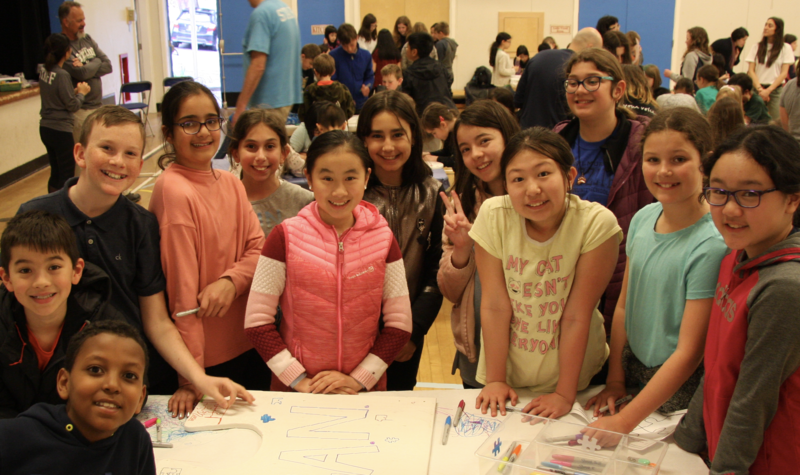 As well, students of all grade levels from the two schools gathered in the Gilpin gymnasium to decorate their own small puzzle piece to wear as a pin. 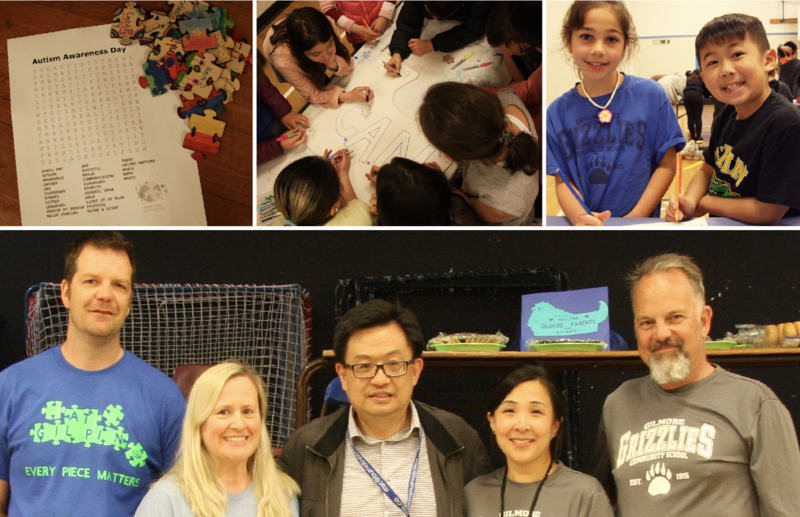 Debbie Siu, Grade 2/3 teacher at Gilmore, explained that the students were told that their puzzle piece represents them and their story – each one an important part of the larger puzzle representing their community. The students also decorated giant puzzle pieces which will be installed on the school’s fences. Classroom teachers, EAs, District carpenters, and the schools’ principals were on site to witness the enthusiasm. This is the fourth year that Ms. Siu has spearheaded its autism awareness and fundraising campaign with benefits going to CAN. Last year, Gilmore buddied up with Gilpin Elementary, and the school’s educational assistant, Bev Gilliam, got on board. The two educators agree they got their schools involved to help raise awareness around autism, promote inclusion, and support fundraising efforts for CAN. Last year the two schools presented a cheque to CAN for $5,000. This year, there are more bake sales and toonie donation days left before the fundraiser wraps up with a special celebration assembly.